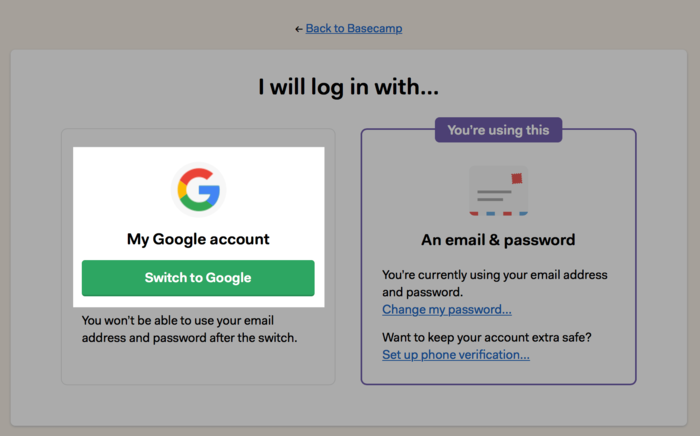 Basecamp Classic: How can I switch to Google sign-in? Switch to Google sign-in for increased security and one less password to remember. 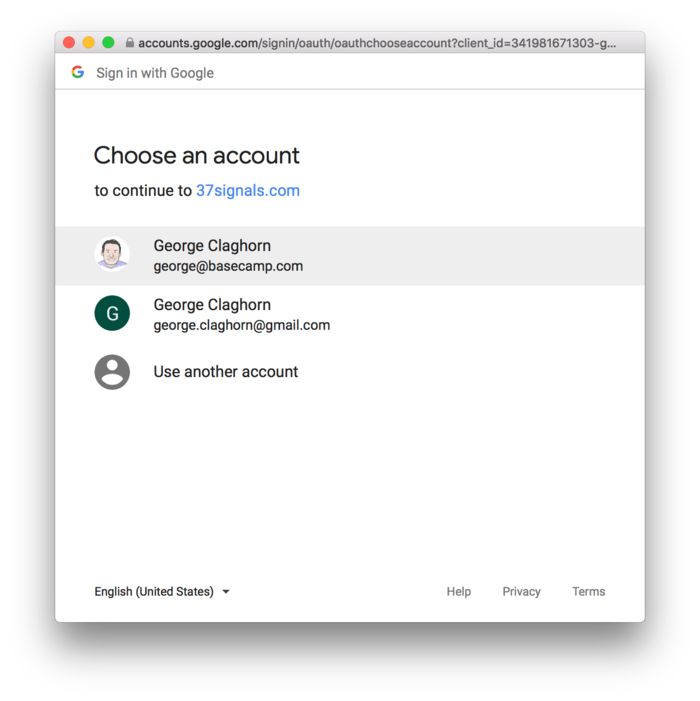 If you haven’t already signed in to Google, you may need to enter your Google username and password. Now you’re all set! 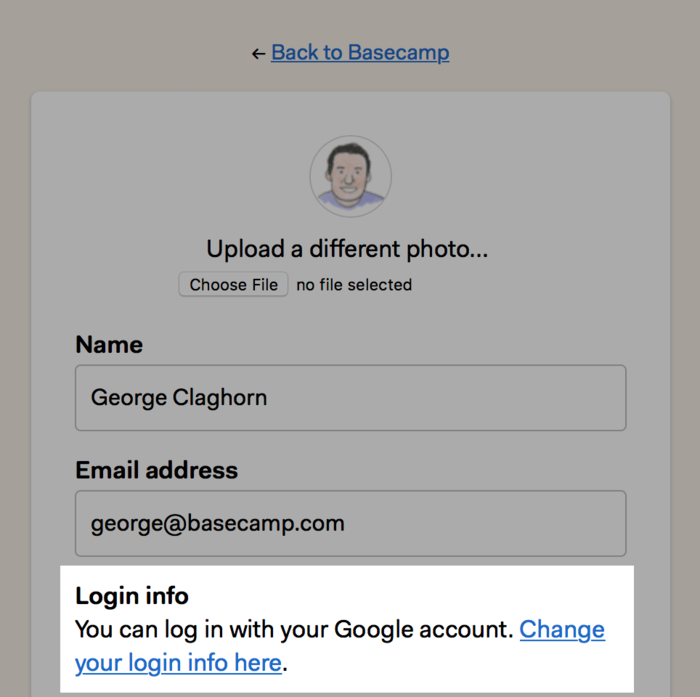 Click “Back to Basecamp” at the top of the page to return to your projects.